The basics of preventing garage mold are essentially the same as taming any other house mold. Mold thrives in moist, dark, unventilated environments, so you should be able to prevent mold by making sure your garage stays dry, well-ventilated and not too dark. Mold is a common problem in many homes, and even conscientious homeowners can sometimes run into a mold problem. The garage isn’t the first place most homeowners think will present a mold problem, but mold can infest your garage just like any other area of your home. 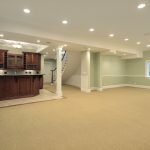 If you’re building a new garage and are concerned about mold, your best bet is to build your garage out of materials that mold will find inhospitable. A good first step is constructing a garage with metal studs, instead of wood. 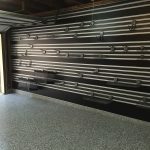 Metal studs require somewhat different skills and tools, but any general contractor with experience using metal studs shouldn’t have any trouble building you a quality garage. 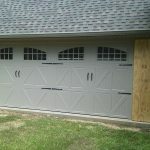 Pre-coated aluminum or vinyl siding is probably the best idea for your garage walls. 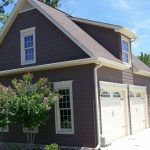 By choosing materials other than wood for your new garage, not only do you all but eliminate the possibility for mold growth, you’re also preventing wood-eating pests that can damage your new garage. If you already have a garage and it’s not made of metal or other mold preventing materials, you’re going to need to take a more meticulous route to keep mold from infiltrating your garage. Your highest priority should be reducing the moisture content of the air as much as possible. Air dehumidifiers are a good start. Making sure your garage is well-ventilated is another good step to take. Naturally, one of the most common places for water to enter your garage is through the roof of the garage, so make sure you keep it in good condition. 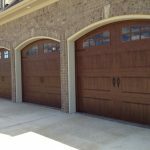 Fresh, circulating air and well-maintained garage structure should be enough to prevent garage mold. 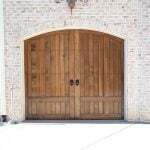 Sunlight also helps keep mold from growing, but don’t think that just because you open your garage door for a couple hours a day that you can’t develop mold in your garage. Need to find a pro for your garage mold? Garage mold removal is usually a project for the professionals. The general presence of mold can cause respiratory problems in some people who have sensitivity to general contaminants. The process of removing mold, however, will stir mold spores and can be a serious irritant to even the stoutest of constitutions. Some areas require a licensed professional to handle mold removal. The good news is that garage mold removal is generally less complicated than other areas of the home. 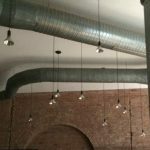 The biggest problem with mold removal, other than using proper safety precautions and disposal methods, is ensuring that all the mold is removed. 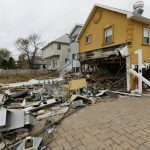 In some areas of the home, this can mean costly excavating of the surrounding areas and walls. Naturally, mold can be hiding behind your garage walls, but locating and removing this mold is still a lot easier than a mold problem within the interior walls of your home. This doesn’t tell me how to prevent mold from growing in my garage. 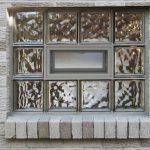 How do I ventilate an old garage? I found mold on the garage wall and the garage has the musty smell. Can I get a free quote for removing mold and eliminating smell?